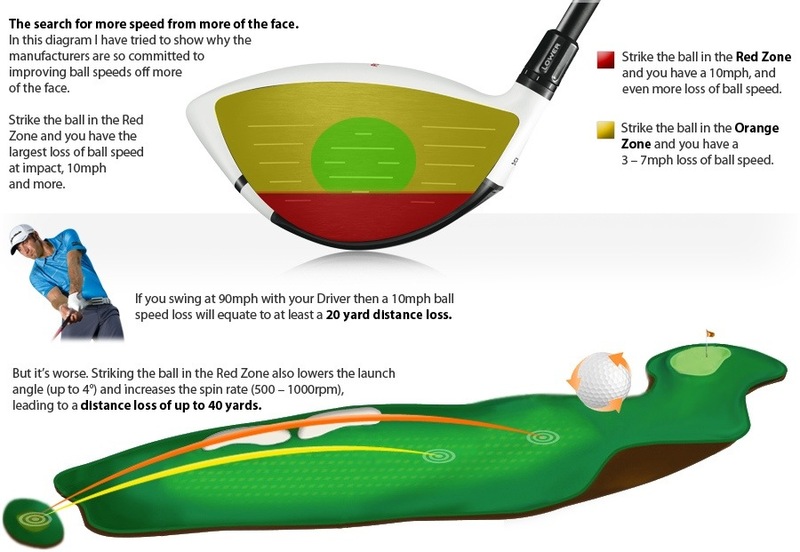 We are looking to add club head speed to the golf ball at impact. If we can add 10mph with good launch conditions then we can add as much as 50 yards to your tee shot. 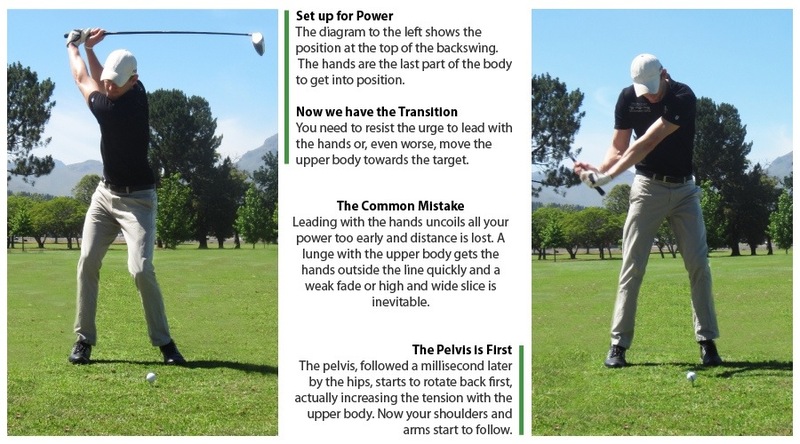 After discussing how to load up on the backswing, this week I am looking at how to start the downswing so that you don’t give all the power you have ‘loaded up’ away too early. Get this right and you are in good shape, not just to generate good club head speed, but also to attack the golf ball from an inside to out swing path. That just adds to the power you are going to deliver to the golf ball. TWO GOLFERS, SAME SWING SPEED, DIFFERENT SHAFT FLEX! Finding ways to strike the golf ball in the green zone delivers great results. If you swing at 90mph and connect with a slightly ascending blow on a good swing path, then you should be reaching 260 yards comfortably off the tee at sea level. If you are looking for extra distance off the tee, then those of you playing premium golf balls should take a careful look at your swing speed and the model of golf ball you are playing. Most manufacturers have two premium models. One that will spin less off the Driver face, suitable for the fastest swing speed golfer and another that will spin a little more. If you are paying for a premium golf ball then please talk to us and let us make sure you are getting the most from your investment. And, if you want to go the extra yard, remember that’s why we’re here. Our job is to do exactly that: “to help you go the extra yard”. Challenge me now and let’s see what we can do for your distance off the tee. This entry was posted in fitness, golf, golf instruction, golf tips, sports and tagged fade, golf, golf coach, instruction, over the top, slice, teacher. Bookmark the permalink.